Bullying, which has become the #1 concern among many parents and children, actively opposes your faith-based organizations’s mission and purpose: to bring your children into a deeper relationship with God. This is because bullying spreads pervasive fear, not just among Targets but Bystanders as well. This interactive, powerful and life-changing program will take your faith-based organization on an incredible journey of love, mercy, justice, compassion and courage like no other program. 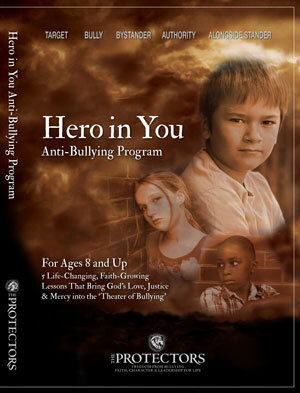 To order the “Hero in You” DVD click here.